FALLUJAH, Iraq -- Lance Cpl. 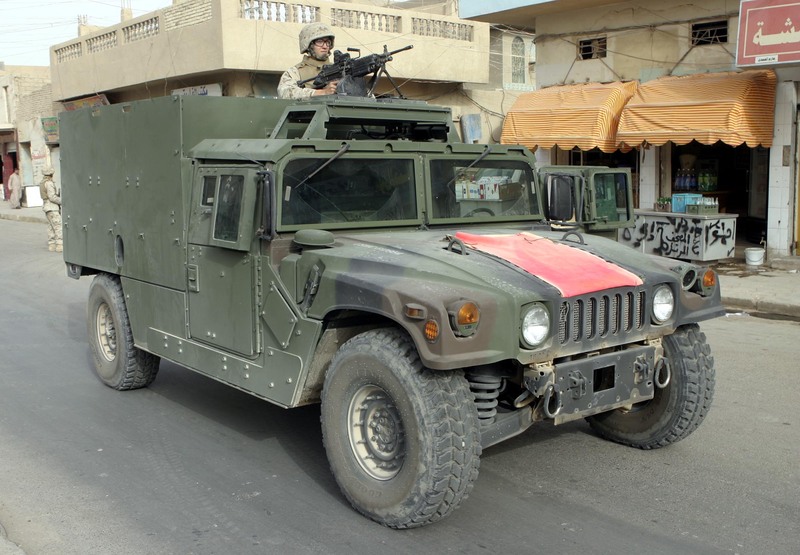 Josh Griffin, an infantryman with Surveillance, Target and Acquisition Platoon, Company W, 1st Battalion, 6th Marine Regiment, provides security from atop his new MAK HMMWV (Marine Armor Kit equipped High Mobility Multi-Wheeled Vehicle) in a street in downtown Fallujah. The 21-year-old Grenada, Miss. native’s unit is currently receiving several of these hardened vehicles to protect the troops against roadside bomb detonation and small arms fire.